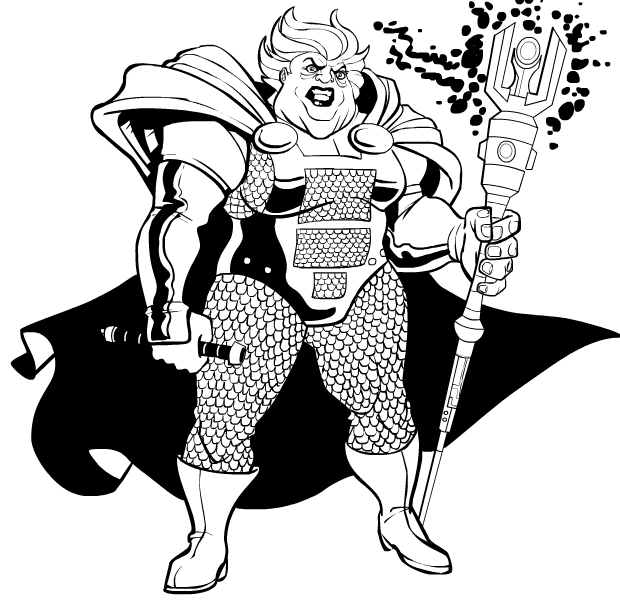 Inspired by buddy John's recent "Darkseid" and "DeSaad" sketches, I took a crack at Granny goodness. I sure hope I don't have to draw a comic where scale or chain mail features prominently. What a pain. Noone told Thor granny was visiting from seattle! I have to agree with Afrodude. This is hideous in a good way I don’t know how to describe that. I have one minor concern. Her shoulders are quite broad and manly. It might have been a bit better had they been narrower. Desaad sketch? Why, to what Desaad sketch do you refer, Jeffrey? Why, to this most excellent one, Mr. Hartwell! 😮 The face reminds me of Ursula from the Little Mermaid!